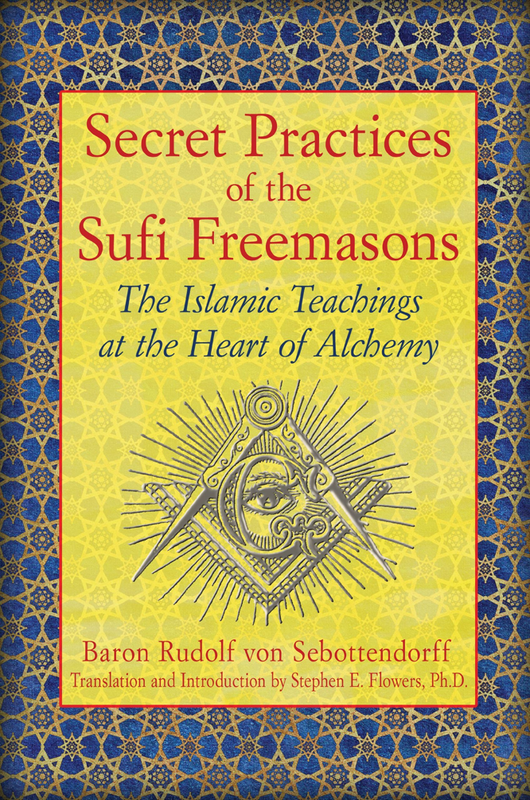 Secret Practices of the Sufi Freemasons: The Islamic Teachings at the Heart of Alchemy by Baron Rudolph von Sebottendorff, from Inner Traditions, translated by Stephen E Flowers, is due to be available Jan 2013. “Originally published in Germany in 1924, this rare book by Baron Rudolf von Sebottendorff reveals the secret spiritual exercises of the Bektashi Order of Sufis as well as how this order, also known as Oriental Freemasonry, preserves the ancient spiritual doctrines forgotten by modern Freemasonry. Sebottendorff explains how the mysterious abbreviated letters found in the Qur’an represent formulas for perfecting the spirit of the individual. When combined with Masonic hand signs and grips and conducted accordingly to a precise schedule, these formulas incorporate spiritual power into the body and transform the soul from its base state into a noble, godlike state: the Magnum Opus of the medieval alchemists.